Stellar Four: Talking TV: What's Working For You This Fall? Talking TV: What's Working For You This Fall? Let's talk TV, shall we? We've had about a month since the new shows premiered, and it's been a mixed bag. Some of the newbie genre programs are pretty good (heeeeey, Ichabod); others have been disappointments (we are all looking at your team, Agent Coulson). Here's a rundown of the lessons we've learned so far in the Fall 2013 TV Season, (Mostly) Genre Shows Edition. Friends, let us start with the biggest disappointment of the bunch. Could anyone have predicted that Agents of S.H.I.E.L.D. would be such a snoozefest? It's a three-fold victim, I think. First, expectations were high because it's a spinoff of the Marvel universe, which has produced almost universally entertaining films that bundle action, drama and humor into compulsively watchable packages. But a weekly television show doesn't have the budget to support the big action set pieces and whiz-bang technology that's a feature in so many of those movies, and it looks cheap and constrained as a result. So, strike one. Strike two comes from the baggage associated with being a Whedon joint. We lovers of Buffy and Angel and Firefly know how brilliant Joss and his people are at making television. Sadly, the wrong Whedon is running S.H.I.E.L.D. ; it's Joss' brother, Jed Whedon, and Jed's wife, Maurissa Tancharoen, who are the driving force behind the show. Simply put, the show suffers from weak writing in the form of clunky dialogue, poor character development and dull exposition. The expected Whedon spark isn't there in the writing, and that's a huge letdown. And now, strike three: The children. 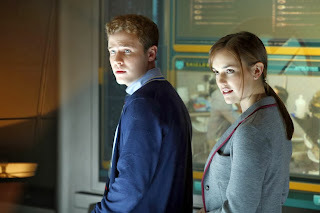 I know I sound like a grumpy oldster, but with Skye — an obvious Eliza Dushku stand-in— sulking around clutching a laptop and FitzSimmons twittering away at each other, it's like watching a high-tech CW show. Agent Coulson is great. Melinda May has potential. Agent Ward is more age-appropriate but is as compelling as a quivering hunk of cold tofu. This is all a problem. One of the strong points of the Marvel movies is that you're watching adults. Robert Downey Jr., Gwyneth Paltrow, Chris Hemsworth, Natalie Portman, Chris Evans, Scarlett Johansson, Mark Ruffalo. None of these are dewey skinned 20-somethings with shaky acting skills, so they bring more gravitas and weight to the screen. How can S.H.I.E.L.D. improve? A tragic lab accident that leaves Coulson and Melinda as the lone survivors so they can start over with some older and more grounded agents, maybe. A better central villain than the Rising Tide, for sure. Punchier writing, better jokes, stronger motivations. Basically that Whedon magic. That's not so much to ask, is it? Forget about the drippy True Blood coven from a few years ago. Witches are everywhere right now, and they are very, very good. Well, very bad, which makes them so very good. Can parasols become the big new thing now? American Horror Story: Coven has reset itself in New Orleans for season 3, and so far, the show feels tighter and more focused that last season's demon/Nazi/alien/evil Santa/WTF-fest. The storylines are just the right mix of scary, tragic, preposterous and viscerally gross. Knowing Ryan Murphy, this show can still veer off into cringe-inducing "I feel bad for the actors and the camera operators and anyone involved in the creation of this scene" territory (see last season's breast-feeding nightmare), but for now, I'm happy to watching this (mostly) plot- and character-centered season. What a bunch of witches. OK, yes, I know it's on Lifetime, but Witches of East End is actually a fun little show. No, seriously. It's the soapy paranormal romance romp you didn't know you were actually dying to watch. Two witch sisters are cursed, and centuries later, the curse is still reverberating through their lives and the lives of the older sister's two daughters, who don't know about their magical heritage. The show has some genuinely spooky moments, some genuinely funny moments, and some genuinely Lifetime moments as one of the daughters is caught between her bare-chested fiance and his equally bare-chested bad-boy brother. As a bonus, we get glimpses of the witches throughout the centuries, so my jones for historical costumes is also satisfied. Lifetime is running the three episodes that have aired so far tonight, so set your DVR and see for yourself. Seriously, Tom Mison, where have you been hiding? 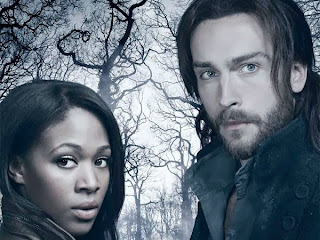 By rights, Sleepy Hollow should have been a terribly gimmicky show that was cancelled after three episodes. Ichabod Crane is transported to modern America, where he teams up with a plucky sheriff's deputy to fight the Four Horsemen of the Apocalypse? Yikes. And yet, it is delightful. It's not a perfect show, but it's got the cool monster-of-the-week vibe that worked so well on Fringe and The X-Files, two other shows that knew a little bit about using law enforcement to fight supernatural baddies. 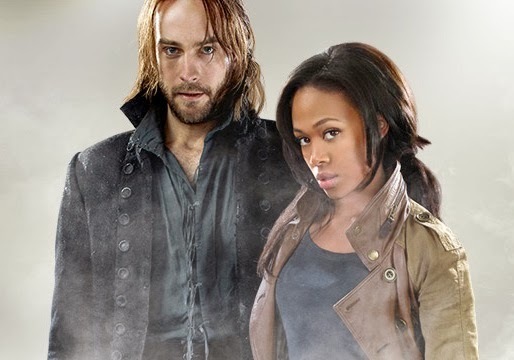 But what really makes this show sing is Mison's restrained yet hilarious performance as a man out of time, plus the chemistry he shares with Nicole Beharie as Lt. Abbie Mills. 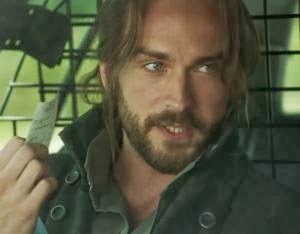 Mison's Ichabod could veer wildly into camp as he reacts to life 250 years in the future, but he instead plays his lines with the perfect amount of bafflement and outrage. My only quibble is that his maybe dead, maybe in purgatory witch wife isn't as compelling a presence as Abbie, which is going to lead to me shipping those two so, so hard. If you don't want that, show, you need to start making the wife a lot more interesting. As you can see for yourself, Tom Mison is a gem. Neither of these are genre shows, but The Blacklist and Brooklyn Nine-Nine prove that you can take a trite premise like a law enforcement procedural and see it elevated to something worth watching. With The Blacklist, it's all about the hypnotic James Spader, who could turn reading a phonebook into something spooky and oddly sexual. And Brooklyn Nine-Nine is a triumph of good ensemble work, as diverse talents such as Andy Samberg and Andre Braugher play off each other to riotous results. You're standing too close, Rick. The Walking Dead may be in its fourth season, but it's also on its third show-runner. New to the helm this season is Scott Gimple, and so far, he's doing a masterful job at making this show tense and thought-provoking rather than forehead-slappingly ludicrous. Gone are Lori and Andrea, two characters who did nothing for the advancement of women in horror situations, and they've been replaced by a large cast of characters from the neighboring town of Woodbury. 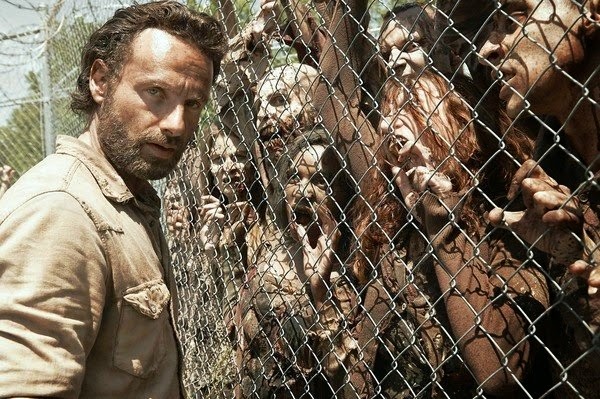 This has given the show a new threat from the inside — who's luring the walkers to the prison fence with rats? — while amping up the zombie action on the outside. Rick seems to be refreshingly not crazy, Carl isn't that horrible mix of psychotic and whiney, Darryl is as stoically boss as ever, and Carole is becoming a major player in the group's cohesion and survival. We'll see how the new people continue to assimilate over the upcoming episodes, but I'm pleased that the survivors have settled into the prison by planting a garden, setting up a working shower system, and making an actual home for themselves. It gives them something to fight for — and something to lose. I can't wait to see how this plays out this fall. I hope she's telling him how skeezy that mustache is. So some of the new shows this season have zoomed past expectations. This means I can ease off on my initial skepticism about Dracula, starring Jonathan Rhys Myers and premiering tonight on NBC, right? At first, I wondered if the world needed another schlocky adaptation of an existing property, but Dracula is getting some good advance buzz. Plus, it's set in Victorian London, which satisfies my aforementioned costume cravings, and it has good ol' Drac falling in love with the reincarnation of his dead wife. Lost love reclaimed? Yes, please. How refreshing to go into a new could-be-campy, could-be-great genre show with a sense of optimism. So what are you digging on TV this season? Let us know in the comments! I didn't buy into the hype for Agents of SHIELD so it had a much lower bar to clear for me. The mystery of Coulson is enough to keep me watching this season at least. I'm watching and liking AHS :Coven, Sleepy Hollow, The Blacklist and The Walking Dead. I'll watch Dracula and see how horribly campy it gets. Yes! I thought I was the only one that thought Agents of Shield was a bore. I tried to give the show a chance since the network obviously invested a lot of money into the show but after the third episode I gave up. Sadly, the same thing happened for Sleepy Hollow...I stopped watching after episode 4 (half of 4 lol). I found the storyline interesting but I don't know, I'm just not really feelin' it overall I guess. I'm still watching The Blacklist, and am liking it so far...I want to see who Redd is to Lizzie. I have an idea who he might be but going to see how everything plays out. Other shows I'm watching: The Walking Dead, Sons of Anarchy, Revenge, Master Chef: Junior LOL, and The Originals (Lovin' it, more than TVD). I'm also going to give Dracula a shot, but I don't have high expectations for it. I have this theory that SHIELD (I refuse to bother typing out Marvel's Agents of and I'm too lazy to add in the punctuation) isn't intended for a nerd audience. I don't think it's aimed at Marvel or fantasy fans, instead, it's specifically targeted toward the uninitiated. The showrunners may be priming the audience to become fantasy/Marvel fans later, but for now it's strictly Intro to Nerd 101. The mythology and intricate plots aren't there because they'd be too hard to understand for novice viewers. At least, I hope that's what it is, I don't think I could handle it if it was just this boring without an endgame. 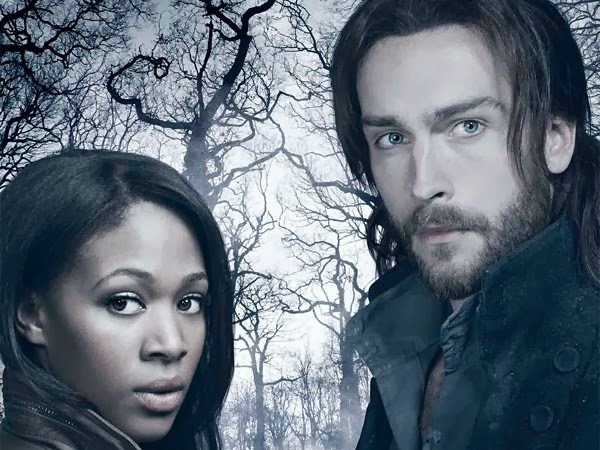 As for what I'm loving, I'm alllllll about Sleepy Hollow, Blacklist, and The Originals. I'm not a fan of VD, but the vamp/werewolf spin off set in New Orleans is much more fun without the teenage drama. I'm also looking forward to Almost Human (whenever it debuts) and checking out Dracula tonight. 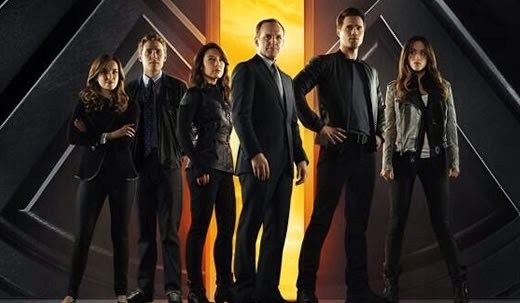 You said that Agents of S.H.I.E.L.D is "like watching a high-tech CW show." But I think it's worse (at least of what I've seen) than most CW shows. Arrow is a superhero high-tech CW show and it's worlds better than SHIELD. If you don't watch Arrow, you should. It's like Nolan's Batman, but in some ways better. And it has awesome fight scenes and athletic actors. So fun to watch. Witches of East End needs to get a bit more credit. It's soooo good, with a strong witchy vibe. I watched SHIELD once, and I'll never make that mistake again! I have to say, with all these great looking shows released this fall, it's a Lifetime show that I'm sticking with in the future. What has the world come to if Lifetime ranks highest!?!?! ?